Mei is a native of Yunnan province in southwest China. She holds an MBA from Harvard Business School and worked for McKinsey & Company until she found her true passion in sustainable travel. 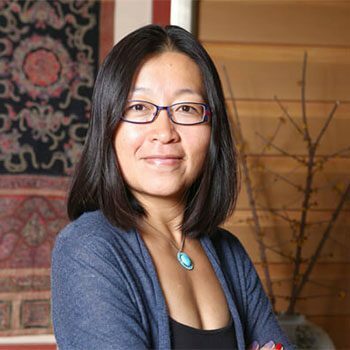 While serving as a consultant to The Nature Conservancy, Mei witnessed the push and pull between economic development and conservation of both nature and culture in Yunnan. She strongly believed that there was a for-profit solution to this – providing sophisticated interpretation of Chinese culture and nature through experiential travel. This revolutionary concept led to the creation of WildChina in 2000. The WildChina story has been covered by Harvard Business Review, CNN, The Wall Street Journal, The New York Times, TIME and more. WildChina set the golden standard in luxury adventure travel in China, and its rigorous operation process is documented in a Harvard Business School case and studied by all first year Harvard MBAs. WildChina has also established many partnerships with villages, nature reserves and NGOs around China. Realizing that WildChina alone cannot change the industry, Mei is a frequent speaker on sustainable tourism and entrepreneurship in China. She served as a judge for the World Travel & Tourism Council’s Tourism for Tomorrow Awards and has been on the advisory boards of Adventure Travel Trade Association, The International Ecotourism Society and, was a founding board member of the Global Sustainable Tourism Council (GSTC) primarily funded by the UN Foundation. In 2012, after spending four years in Washington DC, establishing WildChina’s US presence, Mei took another leap of faith, returning to China to build another venture, Beshan, bringing sophisticated travel to a chic Chinese clientele. Mei is passionate about unlocking authentic travel experiences for the forever-curious Chinese traveler. In 2015, she launched a new venture, www.Newugo.com, a platform that acts as the ‘Airbnb’ for authentic travel experiences. On newugo.com, locals can host guests to experience their daily lives. Guests can learn some new tunes from a Miao folk singer, learn to make cheese from a Dali villager, or collect mountain honey with a chef. In 2016, Penguin published Mei’s first book, Travels through Dali with a leg of ham. The book is a beautifully illustrated chronicle of her return to her roots in search of the region’s unique traditions, culture and cuisine.